The head of the World Council of Churches, which groups most non-Catholic Christian faiths, called for full communion among all denominations by the middle of this century, in an interview published on Friday. WCC Secretary General Rev. Dr. Samuel Kobia told the Vatican daily L'Osservatore Romano he was convinced relations between Catholicism and the Protestant and Orthodox churches in the Geneva-based Council would grow stronger in coming years. 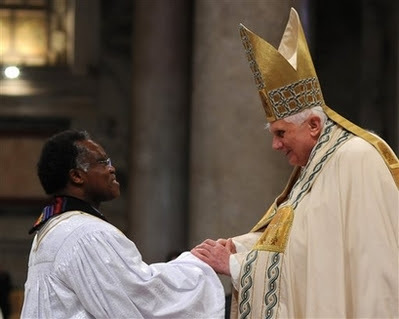 Kobia, a Kenyan Methodist, met Pope Benedict in a private audience on Friday and was due to join him and other Christian leaders at an ecumenical prayer service in the afternoon marking the end of the annual Week of Prayer for Christian Unity. The Vatican bars intercommunion because of disagreements about the eucharist, the central act of worship in many Christian churches. Many Protestant churches allow members of other denominations to share their consecrated bread and wine. Intercommunion would symbolise unity among Christians and ease practical problems in countries such as Britain, Germany and the United States where mixed marriages are frequent. Kobia said he hoped the churches would reach such unity by mid-century "that Christians everywhere, regardless of their confessional affiliations, can pray and worship together and feel welcome to share in the Lord's Table at every church." "By this example, the church can help humanity to overcome all divisions and people of the world be able to live together in peace and harmony regardless of their backgrounds and identities," he said. 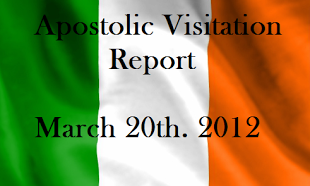 Benedict made no mention of Kobia's call during their meeting and stuck to his usual statement of hope that Christian unity "will be ever more fully realised in our time." While Benedict has named Christian unity a priority of his papacy, Catholic theologians see little prospect of the Vatican moving towards intercommunion with Protestants anytime soon. If it comes, they say, the Vatican would first do it with the Orthodox churches, which are closer to Catholic doctrine. Kobia's interview got front-page billing in the Vatican daily, a once-bland broadsheet that has opened up to interviews with and articles by non-Catholics since historian Giovanni Maria Vian took over as editor-in-chief late last year.